One of the greatest opportunities as you engage in a trade show is the possibility of building your company’s brand. Your brand is how your customers perceive and recognize your business in a crowded market place – which is precisely the scenario at a trade show—where you must stand out, gain recognition or fall into oblivion. A strong brand communicates what your company does, and how it does it, while establishing credibility and trust with prospects. If you’re in marketing, you know it’s a challenge to build your brand at trade shows with such fierce competition. There are many things to keep in mind to obtain the trade show presence you need –and it goes beyond the messages you are conveying with signage, graphics, colors, etc. It all starts with the design of your trade show booth – integrating your brand into the design. So, let’s explore some tips for effectively building your company’s brand for success. Identifying target market is a vital piece to consider, because without this information you can’t proceed with the rest. Who are you trying to reach? How does your product or service help them? How does your target market respond to your company? How do they want to experience your products or services? For example, if your target market is millennials, be sure to incorporate an “experience” for them at your booth, that captures attention and mind share. In order to stand out at a trade show, consider what makes you different than others in your space. How can you implement a creative exhibit that takes some of these considerations in mind? This usually involves thinking outside the box and can be accomplished through a brainstorming session with the creative team at your exhibit house. Talk about key messages or ideas you want to convey in your display, the purpose of your existence, and what key take aways are important for your prospects. Once you consider how you want prospects to experience your unique brand, work with your exhibit house to implement your brand into the design. It’s how you manage to move your audience that is important. Forget about your product or service and make this an opportunity to make an emotional connection with prospects. Integrating your brand into the design can result in a unique demo station or an exhibit that encourages interaction and connection. It’s easy to do what the competition does, but that won’t help you. Be true to your brand, stay consistent, and stand out in a way that’s uniquely you. Discover options for design elements in your new booth that would reflect your brand at a glance. 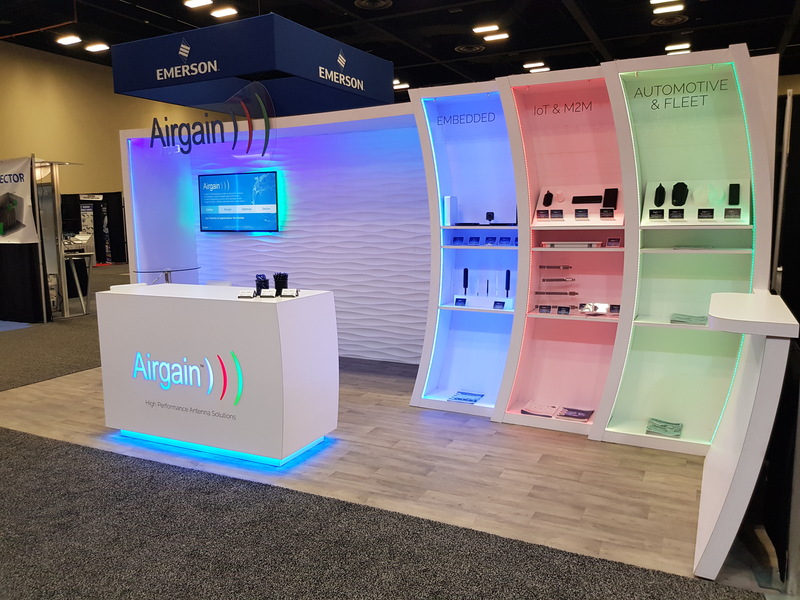 When creating a custom booth, you will come to see how your brand can come alive in tying together all the important elements for branding, including lighting, technology, color, graphics, booth layout, incorporating unique display or demo stations, etc.. Establish a differentiated position on the crowded trade show floor. Just how will you stand out? Partnering with an experienced exhibit company can help create the visually appealing and engaging booth that creatively sets you apart, giving event attendees a clear message about who your company is and what it stands for. The potential for good branding is enormous with a well thought out display. You only get one chance of a good first impression, so be sure to make it uniquely YOU. Are you ready to create an improved branded experience for your company? Contact exhibiTeam today for a complimentary design consultation.